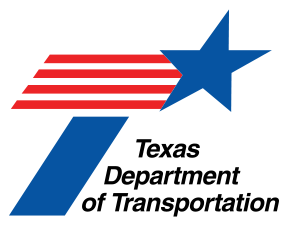 IH-45 will be closed each night from 7:00 PM until 5:00 AM beginning January 28, 2019 through January 31, 2019. All northbound traffic must exit IH-45 at Exit 109, State Park Road 40 and all southbound traffic must exit using Exit 114, Veteran’s Memorial Parkway. This closure is necessary to place concrete bridge deck panels and bridge overhang forms on the SH 19 Southbound Direct Connect Bridge spanning IH-45. Message Boards will be placed one week prior to the closure and detour signs will be placed along the detour routes to alert and guide traffic through the detour. The construction of the six miles widening project, Segment 1B of IH-45 from 0.5 miles north of Vick Springs Road to 0.3 miles north of SH 19 is under way. This project will widen IH-45 to six lanes and will replace the State Park Road 40 bridges and southbound SH 19 Flyover. During the 3-year project, multiple lane shifts and relocation of traffic will take place at various times to accommodate construction activity. IH-45 and SB SH 19 will also be closed at various times for safety of the traveling public and construction workers.